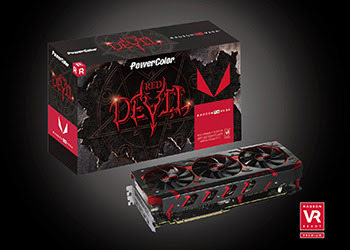 PowerColor VEGA 64/56 Red Devil has 4096/ 3584 stream processors and 945MHz memory clock. 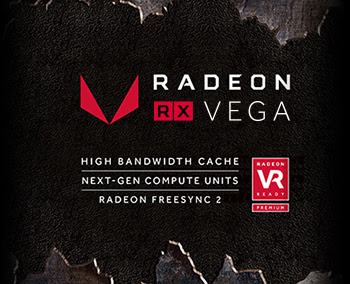 With a dedicated High-Bandwidth Cache, the VEGA utilizes HBM2, the latest in graphic memory technology, to provide incredible levels of power efficiency and memory performance. 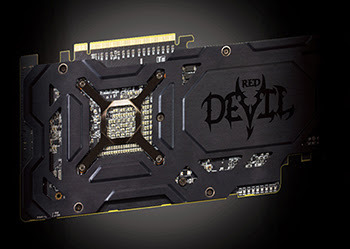 PowerColor RX Vega 64/56 Red Devil equips with two 8pin power connectors with 12 phases to bring extreme gaming experience. 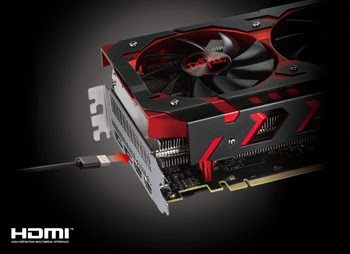 RX Vega 64/56 gears a triple-fan cooler which gears 8mm*2 + 6mm*4 not only makes the card as cool as possible, but also unleashes your ultimate gaming power! 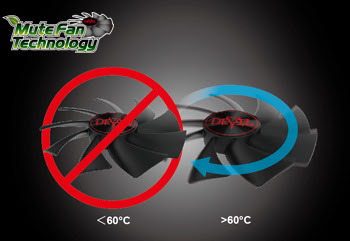 Mute Fan Technology intelligently turns off the fan below 60°C, providing silent gaming during medium and low load while reducing power consumption simultaneously. 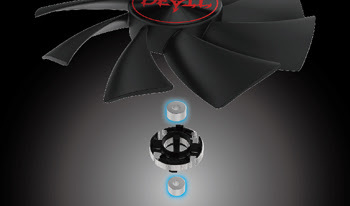 ‧Digital controller and Super Capacitors for improved reliability. 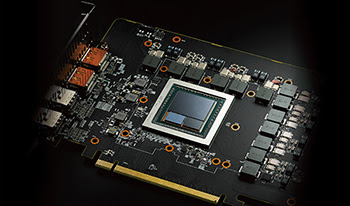 RX Vega 64/56 equips a triple-fan cooler which gears 8mm*2 + 6mm*4 effectively lower the temperature to make the extreme performance. 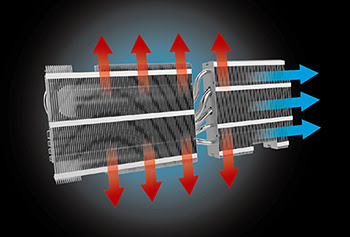 On the other hand, it increases more fins on the heatsink to enlarge the surface for heat dissipation and better performance. ‧1.5mm metal back plate is extremely tough to prevent PCB bend. 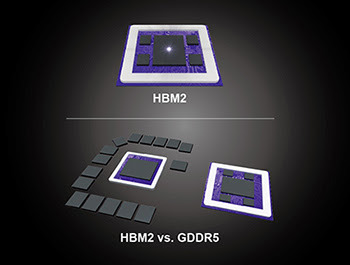 ‧Additional cross bracket on HBM strengthens the protection of GPU. 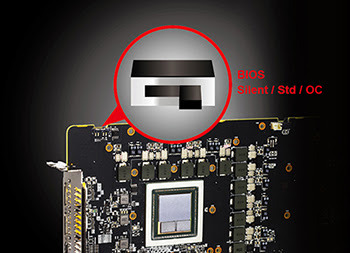 ‧Cross bracket is for supporting the fan and heatsink weight more balance on the GPU.